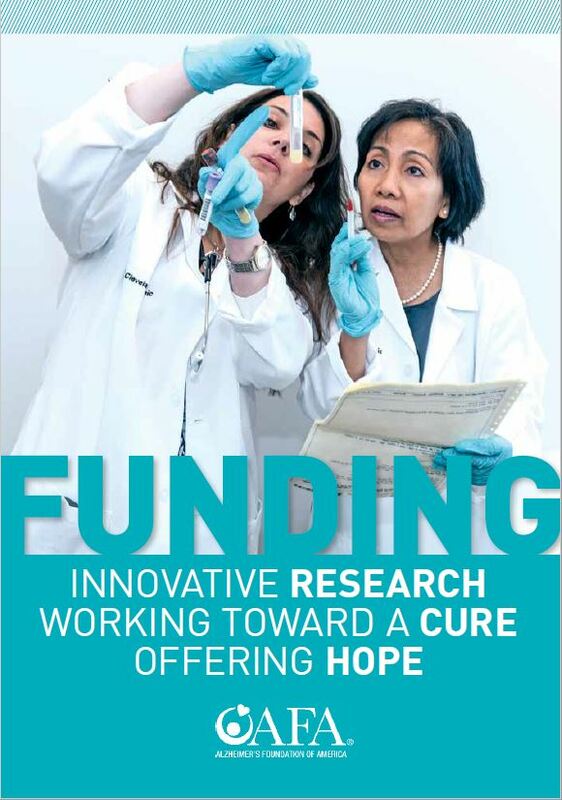 AFA provides funding for research projects aimed at improving treatment and quality of life for the millions of people living with Alzheimer’s disease. The Haddasah Medical Organization in Israel is creating ways to detect Alzheimer’s disease earlier so that it can be treated more quickly and effectively. The research team, led by Dr. Shahar Arzy, is focusing on the brain’s orientation system to design new types of Alzheimer’s testing and a revolutionary diagnostic App which will enable doctors to diagnose and begin treating Alzheimer’s disease earlier, when brain tissue is healthier. Treatment at this stage can help slow the progression of Alzheimer’s disease and enable individuals living with it to have a higher and more meaningful quality of life. Conducted by the Litwin-Zucker Research Center for the Study of Alzheimer’s Disease at the Feinstein Institute for Medical Research in New York, this study, which is led by Dr. Peter Davies, is exploring the causes of hallucination, agitation and aggression in relation to Alzheimer’s disease and how they can be better treated. These types of behaviors are among the most troubling behaviors associated with Alzheimer’s disease and are often one of the main causes that lead to families moving their loved one living with the disease from their homes to a residential healthcare setting. 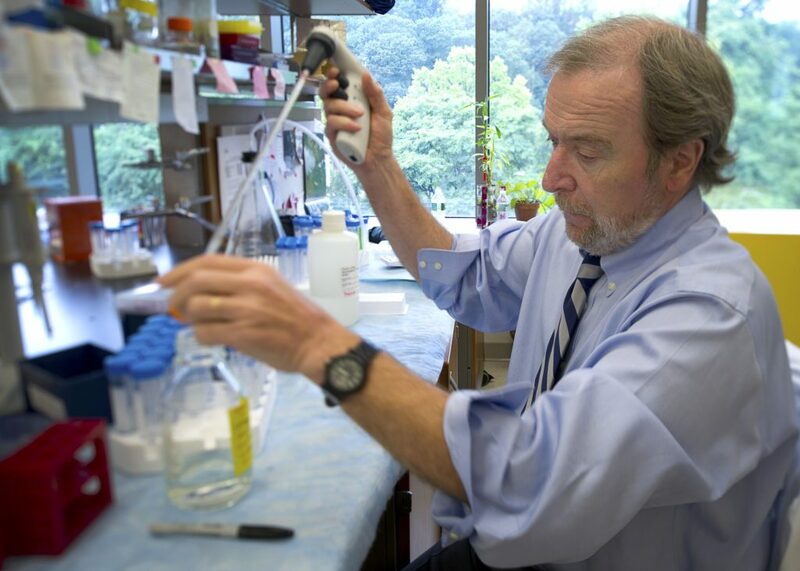 Researchers at NYU-Winthrop Hospital are conducting an innovative study called “Platelet-Rich Plasma in the Study of Alzheimer’s Pathophysiology.” The team is studying platelet-rich plasma of individuals with and without Alzheimer’s disease, as well as interactions of the blood with neural progenitor cells, The study focuses on amyloid, an abnormal protein in the brains of people with Alzheimer’s, which some scientists believe to be part of what kills healthy brain cells. The research has potential in both biomarker development-diagnosing who is at risk early on- and developing drug therapies to treat Alzheimer’s disease. Emory University’s Alzheimer’s Disease Research Center (ADRC) is undertaking a comprehensive, grassroots outreach program to help African-Americans in the Atlanta-metropolitan area. According to Emory ADRC, African-American seniors are two to three times more likely to develop Alzheimer’s disease as compared to Caucasians; part of the reason stems from a higher reluctance among African-Americans to see a physician about memory loss and other symptoms of Alzheimer’s, often stemming from experienced and perceived discrimination by medical providers. Emory’s grassroots outreach program is successfully working with leaders in the African-American community to connect African-Americans with free memory screenings and information about warning signs, ways to reduce their risk of Alzheimer’s and how to participate in research. Researchers at Stony Brook University are undertaking innovative research project that utilizes Positron Emission Technology (PET) imaging in an effort to further drug development. The most commonly used drugs to improve memory in neurodegenerative diseases such as Alzheimer’s target a set of neurons critical for memory called cholinergic neurons. Loss of cholinergic function is a hallmark of cognitive decline. But these medications, which target the cholinergic system and are known as cholinesterase inhibitors, have only a modest effect. By gaining a better understanding of exactly how these neurons are damaged by Alzheimer’s, Stony Brook’s research team hopes to improve therapeutic strategies that can more effectively target and treat the damage and return these neurons to a normal state to help improve memory. Read more about these and other AFA-funded research projects by clicking below.